This pedestrian crossing sign is part of our range of permanent road signs, which are all road grade, Class 2 reflectivity. When pedestrians and cars occupy the same area it is important to let motorists know where they should expect pedestrians to be crossing, and where pedestrians have the right of way. Our post mounted pedestrian crossing sign is available in two sizes, 450mm and 600mm off the shelf, with further sizes available to order. It can be easily mounted to a 76mm post with our clamps. The post and clamps are sold separately from the main sign face, you will need two clamps per sign face ordered. The sign face is highly reflective and even suitable for road use (if you have permission to install it). 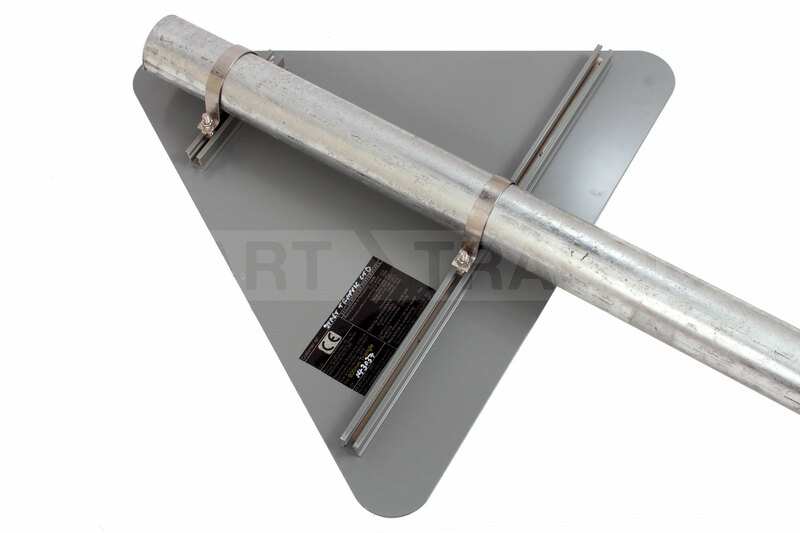 The reflectivity is grade two and is applied to a Dibond face with twin rails for easy installation. Dibond sign faces are very strong, won't rust and have little to no scrap value to deter theft. Guidance for where a pedestrian crossing sign should be installed can be found on page 43 of the TSRGD Guidelines Chapter 4. Superior quality prismatic reflective sign face ensure that the sign stands the test of time. Made from a composite material which is an aluminium covering over plastic, it is light and ultra strong. Each Part of the sign comes with two rails allowing the fitment of two clips per face for secure mounting. Not sure which pedestrian crossing sign is right for you? Give our sales team a call on 01905 794 875, they will happily assist you in getting the right pedestrian crossing sign for your needs. We carry a wide range of fixed and temporary signage and can even have custom designed signs made where necessary. Customisation Alternative wording and sizes available. Please call for details.